Comprehensive's Pro AV/IT CAT6 Heavy Duty Snagless Patch Cables are designed specifically for the most demanding commercial applications! Comprehensive's Pro AV/IT CAT6 Heavy Duty Snagless Patch Cables are rugged, durable and built to last. What makes these cables so unique is they are engineered using high quality pro grade 23 gauge twisted pair construction that is then reinforced with a second heavy duty PVC jacket - making these the only Cat 6 cable for the demands of commercial applications of SMB, Government, Military, Rental and Staging and more. Pro AV/IT Cat 6 Heavy Duty Snagless Patch Cables also provide up to 550 Mhz bandwidth for ultra-fast high-speed signal transmission. 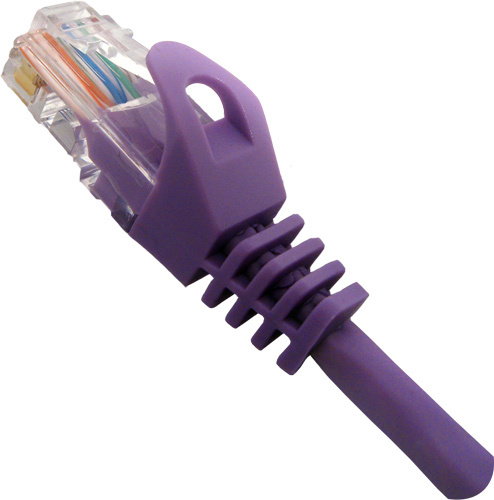 Comprehensive Pro AV/IT CAT6 550 Mhz Snagless Patch Cables meet all CAT6 TIA/EIA standards. Each, individual pair is attached together to ensure proper spacing between the twists of the wire which greatly reduces loss compared to standard 100Mhz cable.